Grand Avenue Improvements — LT Leon Associates Inc. The project includes reconstructing Grand Avenue between South 35th Street and South 50th Street (approximately 0.75 mile) from a two-lane rural street section to a four-lane urban facility plus auxiliary lanes. Team responsibilities included concept development, preliminary survey, preliminary design, NEPA documentation, final plans, Iowa DOT letting, and construction phase services. LT Leon was responsible for drainage design. 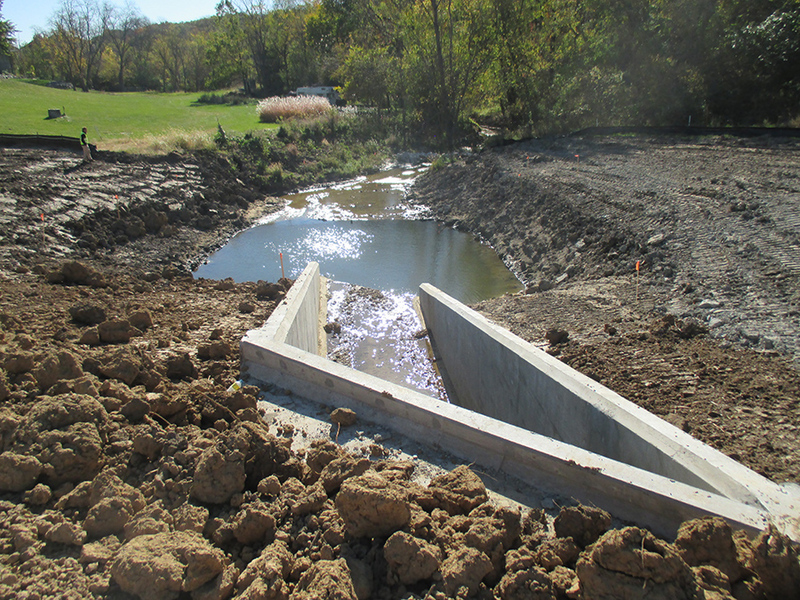 Drainage design includes concept development, preliminary plans, and final plans and specifications. Responsibilities also include base mapping using City provided GIS data and surveying of proposed project area, conceptual storm water utility layouts, and hydraulic and hydrologic analysis. A drainage report was prepared. HEC-RAS, HY-8, and XPSWMM-1D were used to model the existing and proposed storm water utility systems. LT Leon utilized HEC-14 to design a large energy dissipater at 12’ x 8’ box culvert outfall location.